A company you can trust. 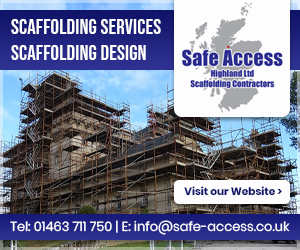 We are a friendly, reliable and professional company, based in Lennoxtown, East Dunbartonshire. 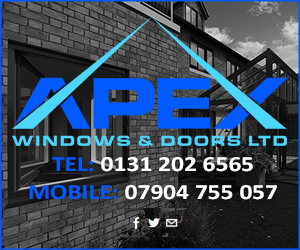 With over 15 years in the industry, supplying and installing UPVC windows and doors, we know only too well what our customers need. At ALL UPVC we like to keep things simple. We listen to our customers and advise you on the correct product for your home. As a company we are dedicated to providing an excellent service you can rely on from start to finish. Your front door is the first part of the home to greet any visitors, so you naturally want it to make the best impression. Our company provides a range of VEKA front and back doors to meet all of your requirements, including glazed or unglazed, patterned glass and low thresholds for easy access which are available in a wide choice of colours and wood grain options. We pride ourselves on our made to measure doors which are designed with security, safety, style and energy efficiency in mind. Remember, ALL UPVC LTD doors come with a 10 year guarantee, so not only does quality and style come as standard but peace of mind too. Whatever your type of property, whether it’s traditional or contemporary, period or heritage, and whatever your own particular style, we’ve a superior quality range of VEKA windows designed to add value to your home. What’s more, you don’t need to choose between beauty and efficiency – all our VEKA UPVC window styles are designed to look amazing and perform impeccably. Take a look at the wide range of UPVC window styles available. If you’re looking for a crisp, understated design classic, the clean, angular lines of our VEKA Casement Windows could be just right for you. Available in a huge range of style combinations, casements are a popular choice for many homeowners, suiting every type of home. Choose from side hung, top hung, or top opening, in combination together or with fixed panes – the number of style combinations is endless. If you’re looking to find high quality vertical Sliding Sash Windows to replace your existing ones, you won’t find better than those from VEKA and ALL UPVC LTD. Tilt and Turn Windows are a sophisticated blend of functionality, clean lines, versatility and security. With one turn handle, the window can be tilted inwards, allowing room to breathe, while still providing a barrier against the outside elements. A second handles, opens the Tilt and Turn Window fully inwards for maximum fresh air and luxurious sense of space. A Bay Window normally has three openings, whereas a Bow Window usually has four or five. UPVC Bow Windows, more often seen in contempory properties, offer a larger internal window ledge area. The window ledge and the bow window itself can be rounded or angular in shape, both of which give the illusion of more space, as visually the room is extended by the depth of the bow. The Fully Reversible Window swings right the way round so that the outer panel of glass ends up on the inside – for this reason they are very popular in high rise apartment blocks or anywhere it’s difficult to clean the window from the outside. Constructed using VEKA Matrix 70 profile, the Fully Reversible excels in both aesthetics and reliability. Designed to accept any desired glazing option, the window is suitable for you to specify the energy rating of your choice. UPVC Internal Doors or Never Paint Again Doors as they are commonly known are fast becoming a popular choice for replacement internal doors as they require no painting and virtually no maintenance. You simply wipe with a warm soapy cloth to keep your doors looking fresh and clean, and from only £160 inclusive of vat. 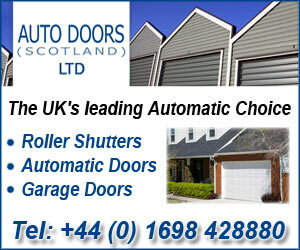 We offer the best priced and cheapest UPVC interior doors anywhere. Available in various styles such as 4 panel and 6 panel door or arched top glazed UPVC doors with various patterned glass designs. There is an option of a Beech or White internal door and are all made to measure for easy installation using a standard 3 inch hinge. Add some extra class to your home with a set of stylish French Doors or Patio Sliding Doors. French Doors and Patio Sliding Doors create the illusion of space and are the stylish way to open up your home to fresh air and fine weather, while gaining easy access to your garden, patio or balcony. Our French Doors can be inward or outward opening, whichever most suits your space. They can also be designed and installed with sidelight and fanlight combinations. I was very impressed with the products in the showroom and the discussion I had with Kevin. The fitters were very thorough and efficient in the fitting of the door. They were friendly and cleaned up afterwards. I am very pleased with the services from start to finish. My experience with All UPVC Ltd from start to finish was excellent. Kevin provided a no pressure sales approach and gave me time to decide if I wanted to proceed. The installation went very well, the fitters were excellent, got on with the job and cleaned up afterwards. My new windows and French doors look fantastic, inside and out. Very happy with the work to install my new front door also very efficient work to repair my window frame. Had to replace side garage window as wooden frame was rotten got All UPVC telephone number and address from local magazine, when we phoned the telephone was answered smartly and very quickly had a visit from Kevin, measuring team arrived soon after to be able to fit the new window and told us the frame would be arriving soon as was the case. All in all a good experience all concerned were polite and respectful. The intial stage of ordering our new back door was easy and without any problems. The fitting stage was different as our old door was the original as fitted by the housebuilder in 1975. Six inch nails seemed to be the only size of nail provided at that time but the fitter did an admirable job in a very difficult situation. A hard grafter who conducted himself in a very professional way. I would not hesitate in recommending Kevin and his team to anyone looking for new doors or windows. A very satisfied customer. I was totally delighted with every aspect of the work carried out by your fitters. Internal doors fitted quickly and efficiently. Both fitters pleasant and tidied up after completion. Our overall experience was good. Kevin kept us well informed as to timescales etc and the work was carried out well. ALL UPVC were recommended by a neighbour and from choosing my door to the fitting everything was done smoothly. We are very pleased with our lovely door. 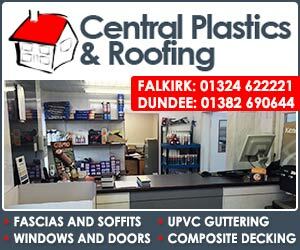 Excellent from start to finish and I would recommend ALL UPVC. Very pleased with all contact with All UPVC from start to finish, couldn’t fault at all. Found Kevin and the company in a wee magazine called the Biz last September 2017). Kevin arrived on time for initial appointment. He was professional, funny and honest. Surveyor made appointment and 3 weeks later my home was presented with a fabulous new front door. Best bit was, the price, tremendous and outstanding workmanship, so delighted I have just ordered a new back door. And will update my review once fitted in a few weeks. AllUPVC are a Professional One Stop Service. 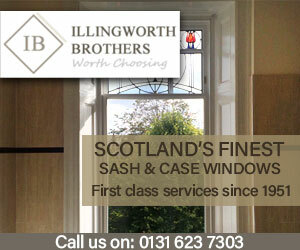 If your looking for a great service with fantastic costs, look no further than this wee gem of a company. I got two online quotes from other companies before contacting All UPVC due to the great reviews they had received online. Kevin came out and the first bit of advice he gave was that we probably required a fire door . No other company had mentioned this and when we contacted the council they also said that it should be a fire door. If we didn’t get this advice we would have had to do it twice as we planning on selling the flat within the next year and it would probably be brought up in home report. All UPVC were brilliant from start to finish. Would highly recommend All UPVC LTD.
From start to finish all staff were fantastic, even with me changing my order at the last minute. Big thanks to Kevin and his team. ALL UPVC had a very competitive price and Kevin was very pleasant and explained everything to me. We were delighted with the service we received from ALL UPVC from start to finish. Kevin and the team were friendly and professional. 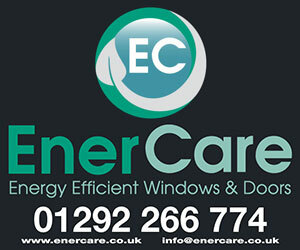 We are very happy with our new windows and front door and wouldn’t hesitate to use this company again in the future. I ordered from ALL UPVC due to the price and service that we received. All UPVC provided a prompt, friendly and efficient service at a competitive price. We would recommend the products, company and service. No issues with windows/doors or installation. Overall a very good experience from order to fitting. Got my front door and french doors done from Kevin @ ALL UPVC Top class service with fantastic quality products, fitted and rendered in two days. Myself and my wife were absolutely delighted with the end results. Much more than we could have hoped for. The tradesmen couldn’t have made it any more painless and cleaned up everything afterwards so we could just enjoy our new doors. Price was great as we had been quoted double from other companies. 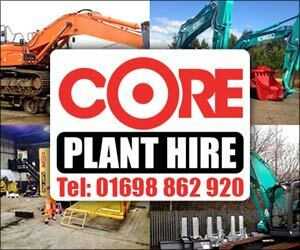 All in all fantastic price and service would highly recommend. Very satisfied with the service from start to finish. Kevin kept us up to speed with the installation date and the fitter done a very professional job and left the property very tidy. From start to finish the whole process was very professional. My external and internal doors are just as I wanted and more. Jimmy and Jamie worked non stop fitting the doors and were very courteous and engaging throughout. After contacting ALL UPVC by phone, Kevin came out to show me the doors available and in no time at all I chose the door of my choice. Kevin said the guy would be out in a day or two to measure up, that was done swiftly and within 3 weeks my door was fitted, Jimmy who came to fit it was really friendly, he arrived early in the morning and started work straight away, no faffing about with teas and coffees. I’m delighted with my purchase and the way the work was carried out. 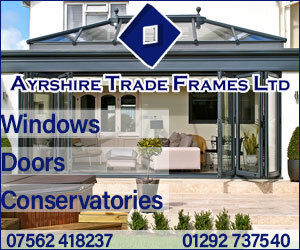 I would recommend and will recommend ALL UPVC Windows and Doors to my friends and family. I liked the no messing about attitude with this company. It was a pleasant change to get work done and the place cleaned and tidied and the whole experience a good one. 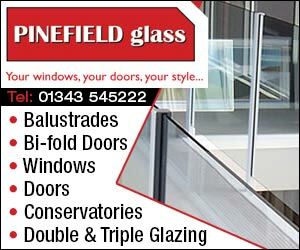 We are delighted with the service we received from All UPVC Ltd and with the standard of the doors. We wouldn’t hesitate to use this company again and recommend to family and friends. Previous customer and high recommendations with very competitive pricing. Friendly, efficient and satisfactory installation from start to finish. We had Kevin from ALL UPVC out to give us a quote for windows and from the minute he arrived he put us at ease. He was extremely friendly and knew his product very well. After a quick chat and getting to know us and even taking time to speak to the kids he measured out windows and had a chat with us about what WE wanted. We found him to be most accommodating and considerate of our needs as well as giving his opinion when he felt it we weren’t sure. After agreeing to buy windows, the process was straight forward and quick. The windows arrived within 2weeks and were fitted the next day. The fitters were in and out in one day, despite coming across some unforeseen problems with our existing window frames. From start to finish the process was easy, straightforward and the finish was fantastic. Our house is now warm and toasty and looks fantastic and we have returned for some internal pvc doors! I got a new door and window fitted today and I am delighted with the results. Thanks again Kevin and your fitter was first class too. All UPVC Ltd replaced all our windows and doors. The quality of service from start to finish was flawless and very professional. Kevin explained all our options and we were provided with a very competitive quote. The installation team were all very nice and extremely hard working. While we were faced with a couple of issues with a broken and scratched glass unit on delivery, this was immediately addressed and rectified by Kevin. 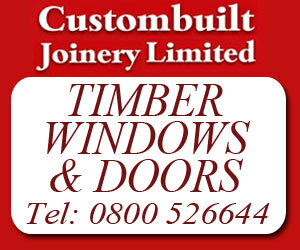 All UPVC Windows & Doors. 5 out of 5 based on 29 ratings.